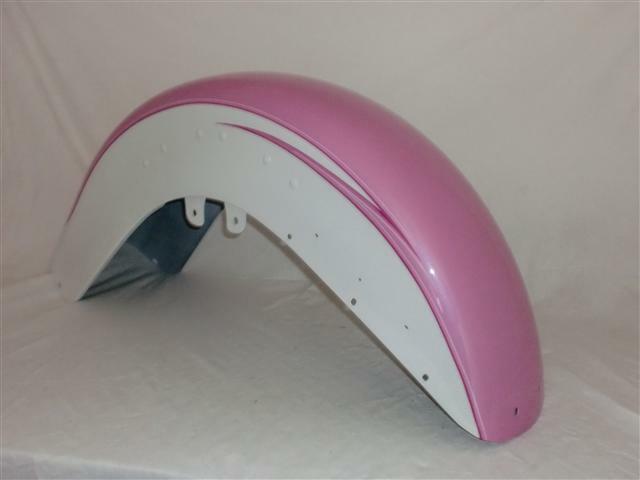 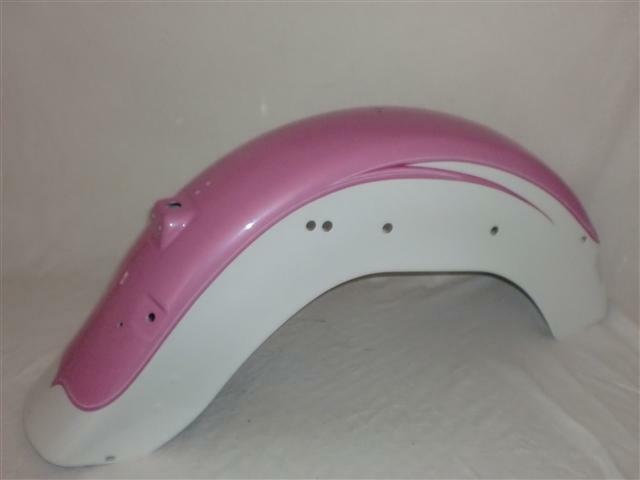 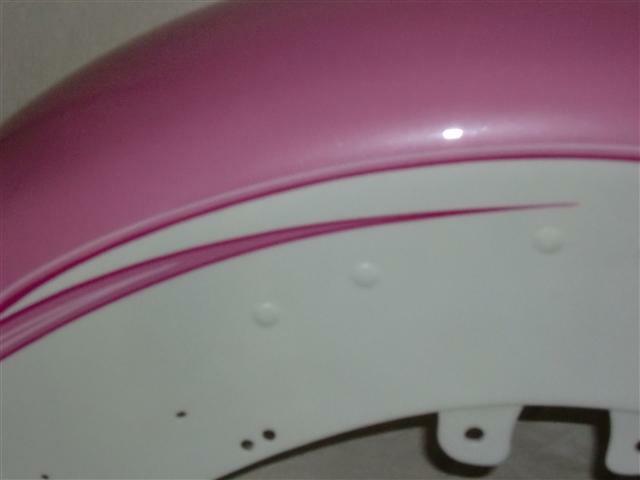 Hot pink pearl and white pearl 2 tone divided by hot pink pinstripe and a thin light pink stripe. 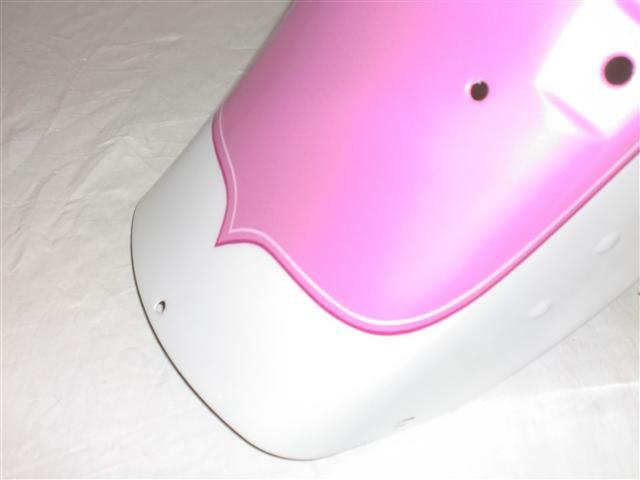 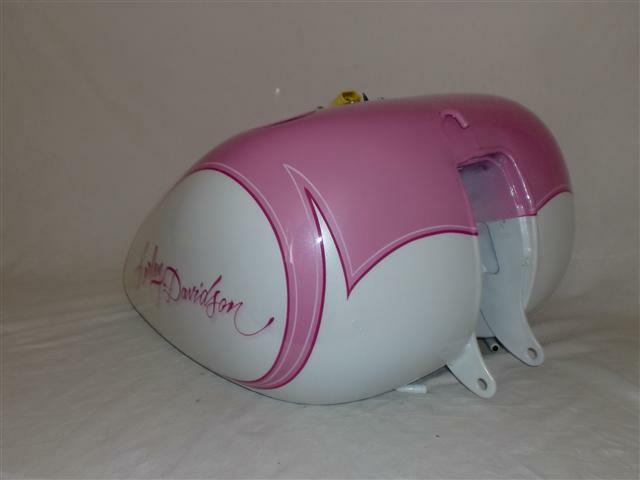 Clean flowing tear drop across the tank, and traditional 2 tone lines across the fenders. 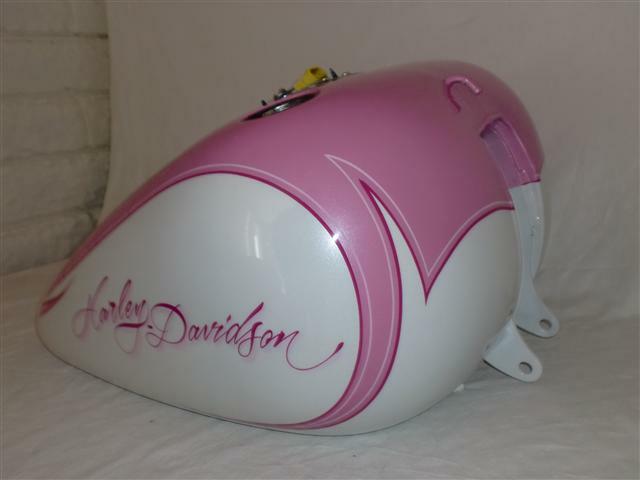 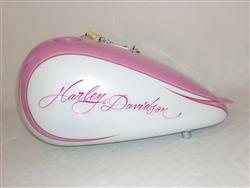 Harley-Davidson in script on each side of the tank make this set soft but classy. 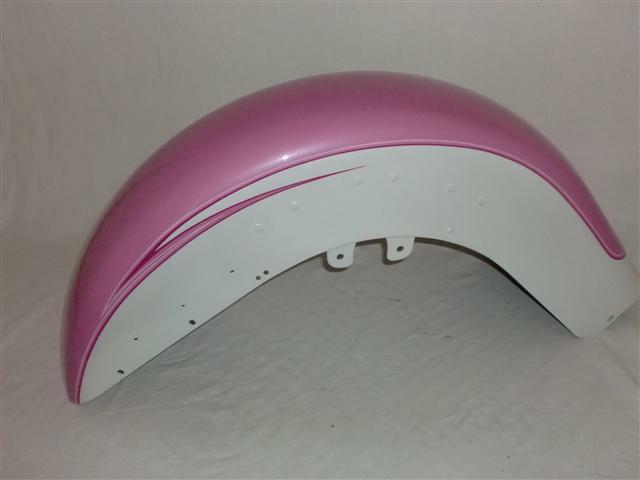 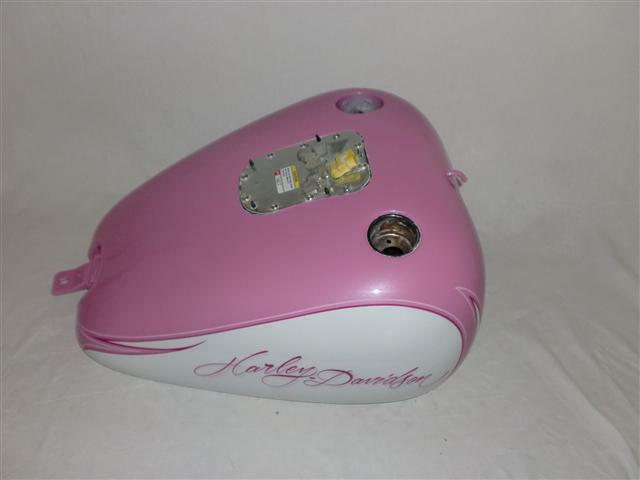 Black instead of pink would give this paint set a whole new additude to the bike.